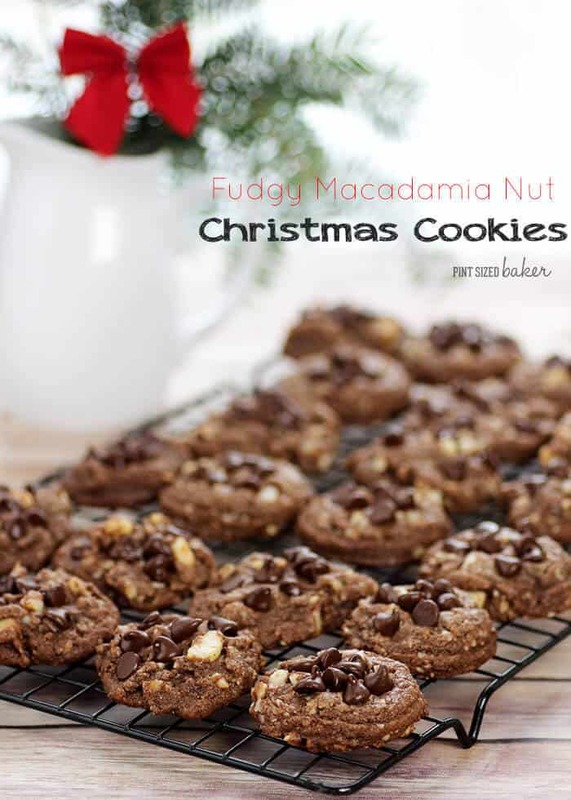 Fudgy Macadamia Nut Christmas Cookies - Chocolate Chocolate and More! With double chocolaty goodness and macadamia nuts, Fudgy Macadamia Nut Christmas Cookies, aren’t just for Christmas. 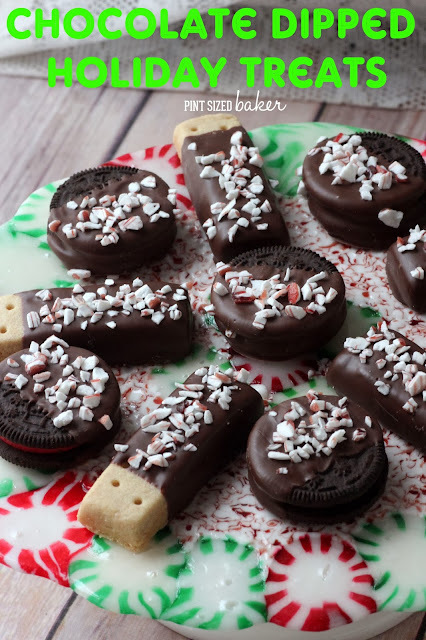 You’ll want to make them all year long! Hello all Chocolate, Chocolate, and More fans! I’m Karyn, blogger and baker from Pint Sized Baker where I love to bake and hate to cook. I would much rather slave away in the kitchen for a a four layer chocolate cake or a decadent cheesecake than roast a chicken or even bake a lasagna. Ugh! Besides, life is all about doing what you love and loving what you do. Joan was a big believer in enjoying your dessert and I’m sure she would have loved these Fudgy Macadamia Nut Christmas Cookies. Preheat oven to 350F. Beat sugar, butter, vanilla, cooled chocolate, and egg in a large bowl with a hand mixer. Add in flour, baking powder, and salt. Add in the chopped macadamia nuts with a large wooden spoon – the batter will be thick. Drop dough with a 1 tablespoon cookie scoop and flatten slightly. Push a few chocolate chips on to the top of the cookie dough. 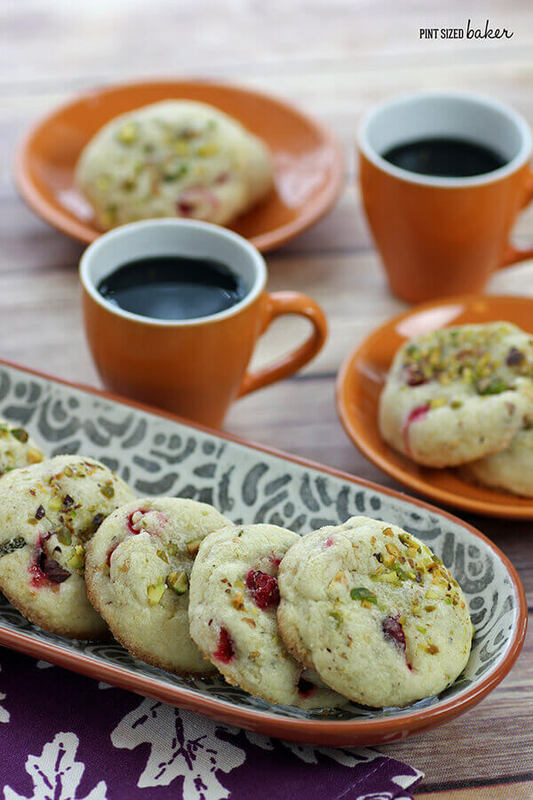 Bake for 9 – 11 minutes. Cool on the sheet for 2 minutes before transferring to a wire rack. Store in an airtight container on the counter or freeze to keep for up to three months. *Note – Don’t have Macadamia nuts? You can use pecans, walnuts, or almonds instead. I know that everyone is getting ready for Christmas and that means Christmas cookies for cookie swaps and gift giving. These are perfect to add to your gift box of sweets or stash them in the freezer to keep for yourself. It’s not everyday that you get to enjoy a taste of the tropics with macadamia nuts. I was born and raised in Hawaii and I love getting a box of Mac Nuts every year from my mom who still lives there. When I get back to the islands, I am all about macadamia nuts. Did you know that there are Macadamia Nut Kisses and Almond Rocca? They are totally a thing and I suggest you pick up the jumbo sized bags at Costco. Look at all of these yummy macadamia nuts and chocolate chips! Oh my, they look scrumptious. It’s good that these cookies aren’t strictly for Christmas. They can be enjoyed all year long! So make them on a random Tuesday afternoon and relax with a cup of tea or lemonade. Chocolate is good any time of year, any time of day, and perfect for dinner. 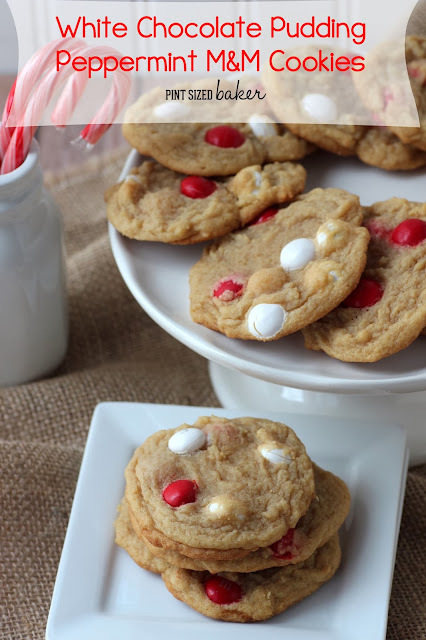 For more yummy Christmas Cookies, pop by my blog, Pint Sized Baker for some yummy ones! I love how nutty and chocolatey amd just delicious these cookies are!!! !